Raue Center is always looking to engage our audience and add to the great benefits of our RaueNOW Membership program. In that spirit, we’re pleased to offer free screenings of classic films throughout the year as part of our Raue Film Series. On select Sundays throughout the year, Raue holds free screenings of iconic films as a Members Only benefit, as well as beloved children’s films. It’s just one more way we’re bringing the arts to all! An annual RaueNOW membership distinguishes you as a friend and supporter of Raue Center For The Arts and the work we do to keep the arts alive and thriving in our community. By becoming a RaueNOW you are directly helping Raue Center’s mission in bringing the “arts to all” and as you do so garnering a number of benefits for yourself. RaueNOW is over 750 members strong and growing fast! 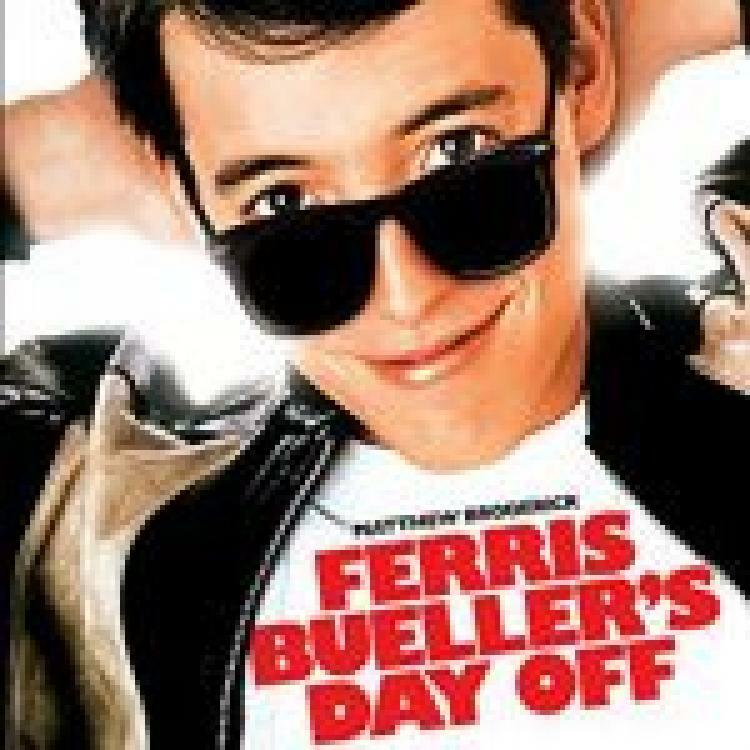 Teenaged Ferris Bueller (Matthew Broderick) is a legend in his own time thanks to his uncanny skill at cutting classes and getting away with it. Intending to make one last grand duck-out before graduation, Ferris calls in sick, “borrows” a Ferrari, and embarks on a one-day bacchanal through the streets of Chicago. Dogging Ferris’ trail at every turn is high-school principal Rooney (Jeffrey Jones), determined to catch Bueller in the act of class-cutting.